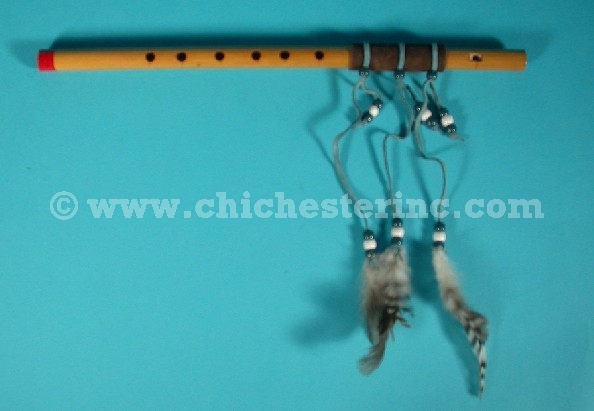 These bamboo reed flutes are decorated with leather, beads, and feathers. They come in assorted colors. The flutes are 14" (35.5 cm) long and 3/4" (2 cm) wide and come with six holes and a mouth piece. The feathers are from domesticated birds and are not subject to USFWS export controls.